As we age our dermis of our face thins and we get a sunken look. Fat Injections to the face, also known as Fat Transfer, results in a more youthful appearance. 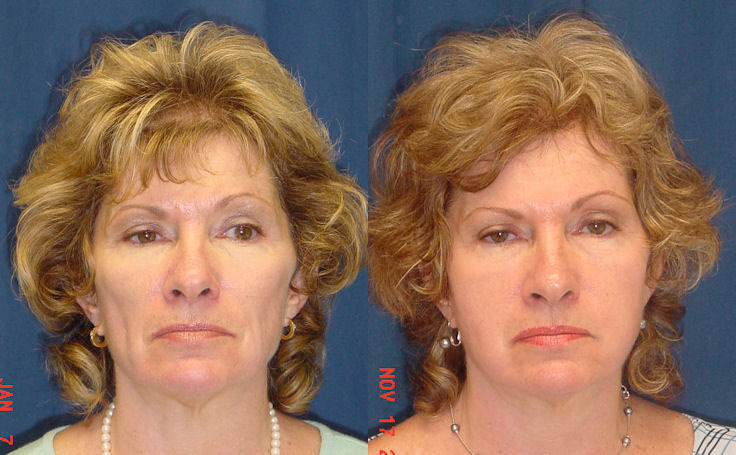 This woman in her 50's had a sunken look to her cheeks before receiving the Fat Injections (also referred to as a fat transfer, or fat grafting) to her face. 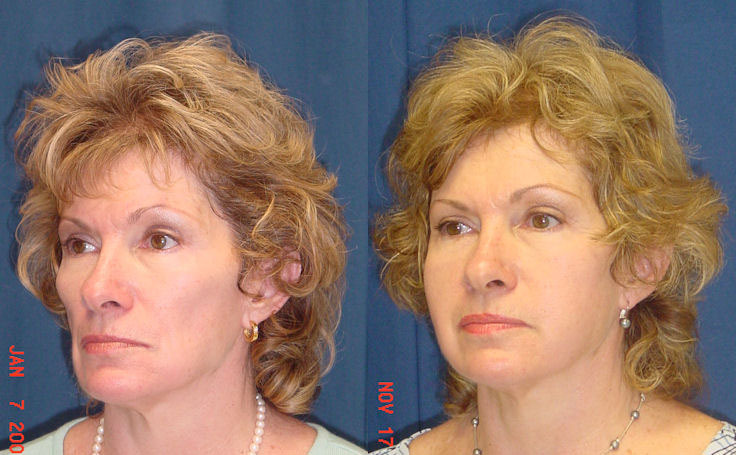 Notice how the Fat Injections filled out her cheeks and gave her face a healthy, youthful appearance. The procedure was performed by Dr. Ricardo Rodriguez in Baltimore, Maryland. Fat injections are a natural way to make a more youthful you.